How many times have I heard that statement…… a lot, heck I’ve even said it. But that’s not a strategy to maximize the value of your business, nor is it a solid strategy to get those millions of dollars into your checking account. Selling your business takes effort, preparation, and serious planning. What was your reaction to each of those responses? Did that motivate you to get your check book out? I doubt it. All of those answers focus on the owners needs and desires. While there isn’t a perfect answer to that question, you better develop one. This is pure sales, the sale of what is likely your most valuable asset; and to approach the market place without a Great Sales Pitch is foolish. I’ve built a great business, predominately through aggressive sales and marketing. The future looks great and I realized that now might be the perfect time to sell my business. Several people asked if I might sell, which got me thinking about that prospect. So I had my business valued and started thinking about what I want to do. Ultimately, I’ve figured out that while I remain excited about my future, the time to sell is when there is opportunity for a buyer, and my business is poised for some substantial growth over the next few years. The reason I went into business was to make money and the only reason I’d consider selling my business is if I can make money. So Mr. Buyer, Show me the Money….. lolol”. Re-read that statement. Does that response set the proper stage for negotiations? If you don’t think so, write your own, lol. When you tell a prospective buyer that your business is for sale, always appeal to their interest. Just like a regular sales call, talk about the features, but sell the benefits; and for most buyers the benefit they seek is “making money”. Your message should definitely address your motivation to sell, the strength of your businesses future, and the fact that you’re interested in selling only if you can make money. And the hidden message is that if the offer is not substantial enough, you’ll keep doing what you’re doing, grow your business, and let your business pay you; and of course you’ll still own the business. Keep in mind that a prospective buyer has already looked at your website, will be familiar with your company, and most importantly, will have developed an image of your business in his “minds eye”. Assuming he is serious, you have now set the stage for the next and very dangerous question…. .
WELL, HOW MUCH DO YOU WANT FOR YOUR BUSINESS? Be careful how you answer this one. There is a common saying in negotiations, “He who speaks first, loses”. Now while I generally agree with that statement, you’re going to have to answer the question. For those that have watched Pawn Stars on TV, notice how Rick ALWAYS gets the seller to say how much he wants for whatever they’re trying to sell. He’s got it down to an art. But then again, sometimes a seller walks into that pawn shop, has done his homework, and states flat out what he wants and sometimes gets very close. Why might that be? Because the seller did his homework! I’m not sure, what do you think it’s worth? In my opinion, those are all bad answers. Your answer should always be directed to the buyers motivation, his desire to make money, his greed. That’s right, just like you, your prospective buyer has the same motivation you had when you started your business, to Make MORE Money; so show him the money! I want what my business is worth. The business is making money and will make you money. 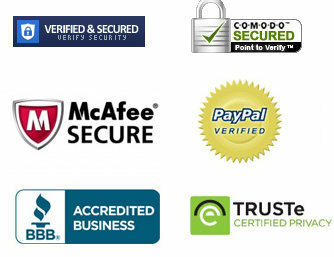 I’ve had my business valued and understand what the business is worth. Based on those numbers, I’m willing to sell to someone who is serious. And I understand that you have to make money and from my analysis, you can expect a solid return on your investment, if we can reach agreement on price. I’m not going to tell you how much I want, let me show you the numbers, and you decide. If you agree with my assessment, we’ll make a deal. If you’re slightly off from what I think, we can talk. And if you think I’m crazy, well… we’ll remain friends. At that moment, you must assert your confidence in the value of your business. Mr. Buyer hasn’t seen the numbers, he doesn’t know. Hopefully your answer will entice him to investigate and make you that perfect offer. At this point, it’s all about keeping his interest; he is a long way off from writing you a check. OK, SHOW ME THE NUMBERS! Are you ready for that? Are your financials in order? Have you written something called “An Offering Memorandum? NO!? Why not? You said you had done your analysis. You said you knew the value of your business. Did you lie? Your buyer expects you to be well organized and prepared to hand him the information he needs to make a decision. MMMMM, have you done your homework? OK, SHOW ME YOUR MONEY! Before you show your buyer the numbers, ask your buyer to show you his money. I hear this all the time: “He’s loaded, he’s got lots of money”. And then later, as it often turns out, the buyer may be wealthy, but doesn’t have cash or wants to finance the deal through a bank. Do you really know your prospective buyer? Has he demonstrated his ability to perform? A serious buyer will respect your request for proof of capability. If a buyer objects to your inquiry, run for the hills, even if he has money, his objection telegraphs how the negotiations will be handled. He’ll want you to show your poker hand, he will reveal nothing, and you’ll wonder what the heck happened. Before you start handing out all of the nitty gritty details of your company, you better reach agreement with Mr. Buyer on who is allowed to see the information, how it will be used, and the return of that information if negotiations fail. Add to that something called a Non Circumvent agreement wherein the buyer agrees not to use the information you provide to go around you, perhaps buy another competing business, or start a competing business from scratch. Depending on the industry, Confidentiality and Non Circumvent Agreements can be extremely complex. BEST ADVICE: Seek legal counsel, have your lawyer draft an agreement to be used, and insist on using YOUR agreement; some buyers have their own, written by their lawyers. DO NOT borrow one from a friend, DO NOT download one from the internet. You need competent legal counsel on this agreement, spend the money. In the long run, it’s a minor investment in the process. I’ve seen deals struck in a bar room, in a car driving down the road, and even on the golf course. But that’s not normal. In those deals, usually the buyer/seller has experience with each other and seriously trust each other. I have never seen a buyer, after checking things out, pull out his check book and write a check. It just doesn’t work that way, assuming we’re talking significant cash, serious buyers are not willing to give up their cash without a fight. The final documents are executed and the business is sold. Now this is a huge simplification of a very complex process. All kinds of things happen during this process, including negotiations on the original Letter of Intent. Sometimes a crafty buyer will walk away from the deal, knowing he can come back later and re-kindle the conversation. There are tons of negotiation strategies, you should read about these strategies so you will recognize them if a buyer attempts to use them on you. Due Diligence: The Buyers opportunity to turn over every stone, investigate every aspect of your business, and satisfy himself with regard to his pending acquisition. For a seller, you’re gonna take off all your clothes and have every aspect of your business examined by professionals who are skilled in detecting any potential problems that may be on the horizon. I’ve done the due diligence for a buyer. For the most part, most buyers simply want me to verify the information given and make sure nothing is being hidden from them. From my perspective as an investigator, I better not miss anything. My checklist is 17 legal pages of questions. When I hand this to a seller, they often cringe. So be prepared. The more cash that is being exchanged, the more intense the investigation. If you’ve been honest, have your house in order, there is nothing to fear from the due diligence investigation. After all, the buyer is about to pay you a lot of money and he has a right to know what he is buying. So grit your teeth, remain cooperative, and put your best foot forward. These are just a few things, as I said, my checklist is 17 pages long. SO IS THIS IT? NOT QUITE…..
All of these things, and more, are essential to a sellers attempt to sell his business for maximum value. If you thought selling a business was easy, you’ve probably figure out by now just how complex and intense the sales process becomes. Many business owners have sold their businesses without assistance. Others use business brokers. And in my opinion, the most successful sellers are those who are involved in the process and use competent professionals to assist them. 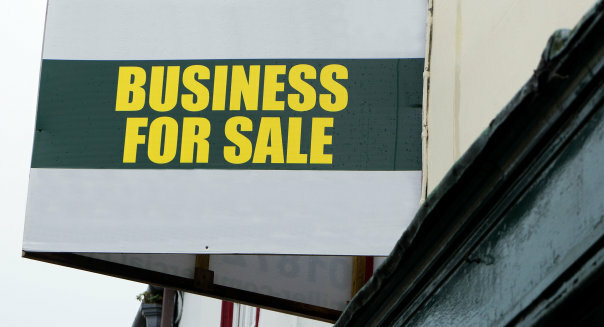 If you’re thinking of selling your business, be prepared. Think through the process, get your financials in order, and develop a written description of your business, its past, and its future. Then be strategic in identifying potential buyers, reach out to them with a definitive positive statement as to why you are considering the sale of your business, and verify their ability to perform. Of course, you should engage professionals to assist you. Exit Strategy USA has been involved in a number of business sales, business mergers, and understands the process. We have the skill sets to guide you, negotiate the terms of the Letter of Intent, and finalize a transaction that does exactly what you should want: Maximize the value of your Business. If you decide that you want to explore the possibilities, give us a call. There are lots of things to discuss, lots of preparation to be done, and a strategy must be developed; before you make that first offering.